Snapchat monitoring has become a common phrase. When it comes to your child using Snapchat, as a parent, it is your duty to have a look at your child's all-day Snapchat activity. To fulfill this purpose, most parents opt for Snapchat monitoring tools. 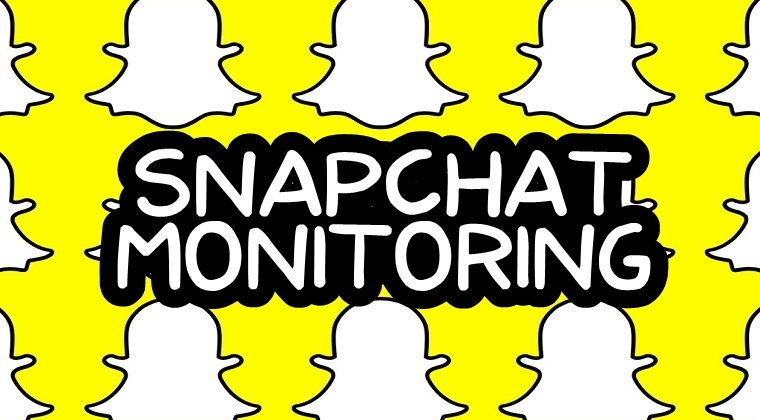 Snapchat monitoring refers to keeping an eye on each and every activity taking place on the Snapchat app. The photos, videos, and text messages one shares with their followers on the app can be remotely monitored. The internet is loaded with various Snapchat hack and Snapchat monitoring tools but not all of them are reliable. Majority of them contain suspicious links, urging you to download a software on your device or filling out online surveys to confirm your human identity. While these fake websites can be harmful to your device and the data in it, we would strongly suggest you avoid them at all costs. All they do is, take your personal data without giving out any Snapchat monitoring solution. As much as you would want to monitor your child's social media activity including that of Snapchat's, we would recommend using a credible monitoring solution for this purpose. There may be numerous Snapchat hack solutions on the internet but the best way would be choosing the authentic solutions. One of the most remarkable monitoring solutions we can suggest right now is Mobistealth. Mobistealth is an all in all a monitoring solution, offering extensive surveillance features designed for both your computer and your mobile device. Not only it monitors each and every activity taking place on your child's Snapchat app, it tends to look after their whole device activity all day long. It records every call and text message your child sends and receive on their device and also monitors their social media activity. What website they visit, what online game they play, with whom they interact on the internet - everything can be easily monitored remotely with the help of this advanced monitoring tool. Let's get to understand how this monitoring tool really works. Operating a monitoring app like Mobistealth is really easy and simple. With its user-friendly interface, anyone can operate and run the app smoothly without facing any problem. To get started, first you need to register yourself on the Mobistealth website and then create an account with them. As soon as you are registered, you will be required to download and install the app on your target, suppose it's your child, device. Once the app is installed on your child's phone, it will begin logging and recording all the activity taking place on your child's device, including the content they share on the Snapchat app. This recorded information will then be transported to your online Mobistealth account from where you will be able to track their activity. Mobistealth works stealthily in your child's device which means it doesn't let your child tamper with it at any time. Instead of wasting your time and money on fake Snapchat monitoring tools online, you should opt for Mobistealth.